In 2008, President Obama promised that on the first day of his presidency, he would close down the prison at Guantánamo Bay and free the War on Terror captives there. Guantánamo is still open today, but the U.S. is now said to be moving “as aggressively as we can” in repatriating prisoners. According to Reuters, attorney Clifford Sloan has taken on the mantle of finding homes for expatriated prisoners, and negotiating with nations like Yemen to ensure that those released will not be wooed into working for terrorists organizations or posing a threat to the United States again. Sloan told the news network that there has been “significant progress” on the matter and that the United States is working “as aggressively as we can” to release prisoners. The goal, as stated by President Obama in this year’s State of the Union address, would be to close down Guantánamo by the end of the year. 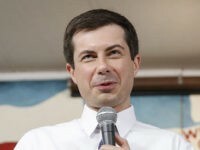 The President has received his fair share of scorn and ridicule for his inability to keep his one concrete campaign promise from 2008, even from liberal media sources. In January 2013, the administration closed down the office responsible for organizing the closure of the Guantánamo Bay camp. Reuters finds that human rights organizations who work to promote the closing of the center are skeptical at best of Sloan’s promise that talks to empty out the facility are moving forward. Reuters reports that 77 prisoners on the island are set to be released and cleared of any charges, but remain on the island because there is nowhere to send them. Fifty-five of them are from Yemen, a country with tenuous ties with the United States that has not been especially open to creating the rehabilitation centers necessary for some prisoners and continues to suffer the presence of al-Qaeda related groups. 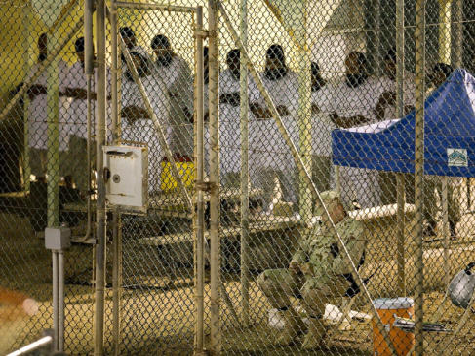 Congress ensured that Guantánamo prisoners can also not be freed within the United States. Finding a safe home for freed Guantánamo detainees is pivotal to the national security of the United States, and the reason for the slow build to closing the site. Two detainees were freed last December, and the trickle out of the camp continues as the United States becomes more receptive to freeing detainees into Yemen. Former detainees in the past have reentered the world of organized terror; one former detainee, for example, was involved in the September 11 attacks on the U.S. consulate in Benghazi, Libya. Sloan did not give Reuters any specifics on how the United States was prepared to face such a threat, but noted that negotiations were as strong and smooth as ever and more details were likely to surface on them in the coming months.